Enter oBH jq2 xgI 5ve iNw g5f in to the password screen to get access to the debug menu. Press the select button and it will bring up two numbers. Hold B and press Up or Down to change the first number and hold A and press Up or Down to change the second number. These are coordinates to different areas around the game. Pressing select again will warp you to those coordinates. Although this is an intentionally programmed code used by developers to test the game, it can also be used to access glitchy, scrambled areas that do not exist during normal gameplay. One side-effect I discovered of this glitch is that if you warp into a screen with a boss (I usually ended up warping to Bavmorda’s room as multiple ones exist – most are scrambled), and then warp again, the boss will follow after you. Bavmorda is impossible to kill when using this password because your level is not high enough. The debug menu password was originally published in Nintendo Power. Questions & Theories: Upon entering a cave, you will hear the Cave music track to the game. If you attack anything, or enter a different room in the cave, the music will sound slightly different, almost like some of the notes changed. It is unknown if this was intentionally left in by the developers; however, it does seem odd. If you kill a zombie monster while it is transforming you into a pig, you will be stuck in that form indefinitely as the time it takes to turn back into normal form is based how many times the zombie attacks you in this form. The only way to fix this is to use the Fleet spell to return you to the beginning of the dungeon or cave, if you do not have it, or don’t have enough MP, you will need to reset the game. View this part of a video for a demonstration on this bug. 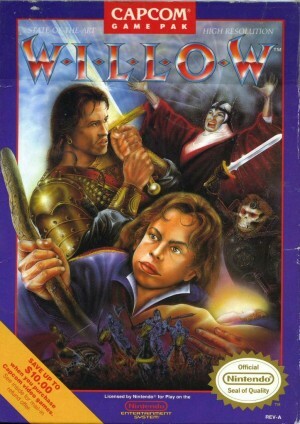 If for any reason, Willow acquires a large amount of MP (80 for example) within a small amount of time, the game counts every single digit (31, 32, 33, 34, etc.) until it finally gets to it’s projected total. Using a spell during this period will essentially be free of MP cost, as long as you have enough MP to cast the spell. This same notion is applied while moving from screen to screen where the MP counting “pauses” during a screen transition. I think i know a secret no one else knows. I cant find it anywhere on the internet but ive known about it for about 20 years. Just sayin. I’d like to see more videos exploring the warp glitch areas. I remember walking into entrances from the north instead of the south.